Echo/ISA - Connect Tech Inc. 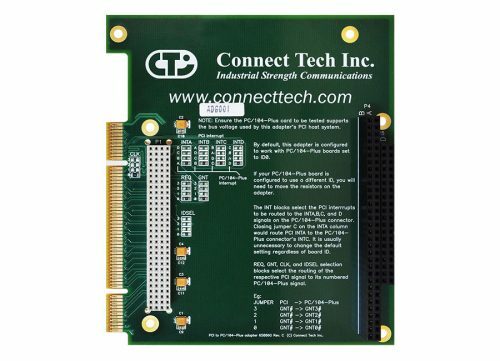 Flexibility: Available in 8 asynchronous ports of RS-232 and/or RS-422/485. 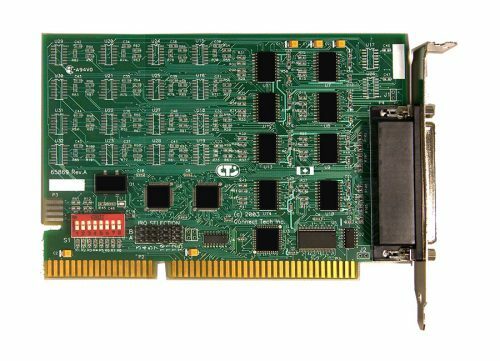 Performance: 16554 UARTS control each port with up to 64 bytes of transmit and receive FIFO buffers. Speed: Supports data communications speeds up to 115.2 Kbps. User Definability: IRQ lines are jumper selectable, each port can be independently configured for baud rate, parity, data and stop bits. Note: The leaded version of this product has been phased out in favor of RoHS (nonleaded). The Echo/ISA is an 8 port serial card designed for those needing continued support for ISA bus based systems. 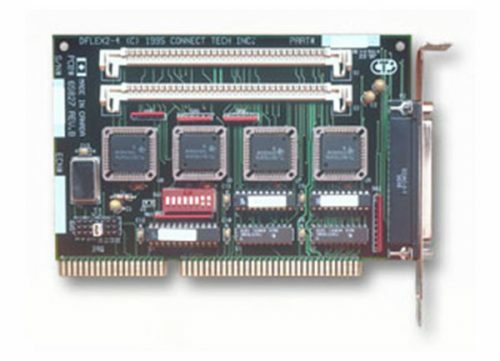 Multiple Echo boards can reside in a system to accommodate large multi-channel I/O requirements. 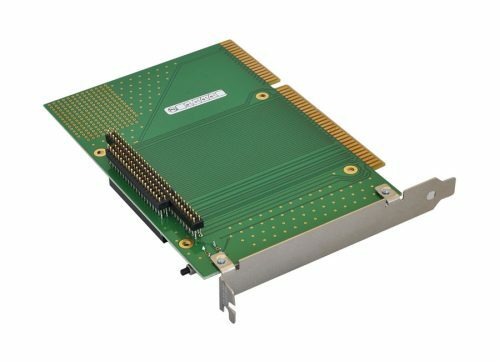 This flexible solution enables independent configuration of each port's baud rate, parity, data and stop bits, and supports the most popular operating systems. 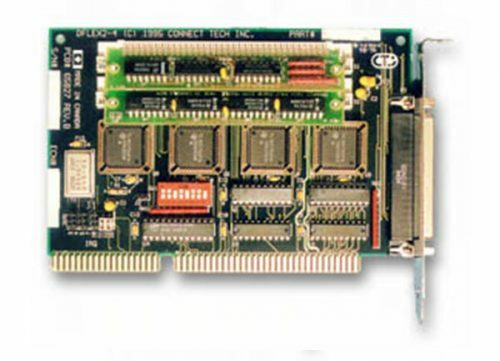 EC001 Echo/ISA, 8 RS-232 serial ports. EC001-01 Echo/ISA, 8 RS-232 serial ports with CAB08FXDX cable. EC001-02 Echo/ISA, 8 RS-232 serial ports with IOB08DB9V1 I/O box. 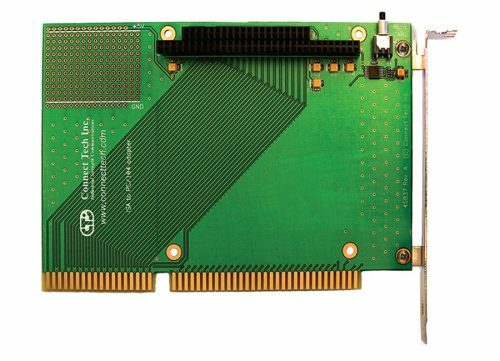 EC001-03 Echo/ISA, 8 RS-232 serial ports with CAB08DB25 cable. EC003 Echo/ISA, 4 RS-232 and 4 RS-422/485 serial ports. EC003-01 Echo/ISA, 4 RS-232 and 4 RS-422/485 serial ports with CAB08FXDX cable. 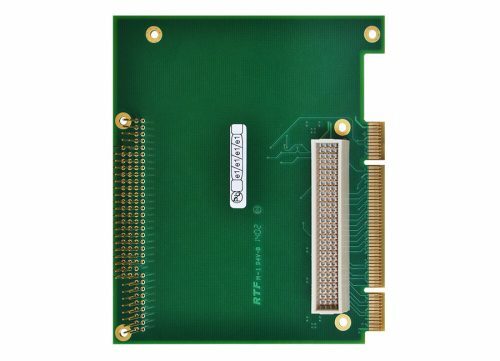 EC003-02 Echo/ISA, 4 RS-232 and 4 RS-422/485 serial ports with IOB08DB9V1 I/O box. EC003-03 Echo/ISA, 4 RS-232 and 4 RS-422/485 serial ports with CAB08DB25 cable. ECG001 Echo/ISA, 8 RS-232 serial ports. RoHS Compliant. ECG001-01 Echo/ISA, 8 RS-232 serial ports with CAG08FXDX cable. RoHS Compliant. ECG001-02 Echo/ISA, 8 RS-232 serial ports with IOBG08DB9V1 I/O box. RoHS Compliant. ECG001-03 Echo/ISA, 8 RS-232 serial ports with CAG08DB25 cable. RoHS Compliant. ECG002 Echo/ISA, 8 RS-422/485 serial ports. RoHS Compliant. ECG002-01 Echo/ISA, 8 RS-422/485 serial ports with CAG08FXDX cable. RoHS Compliant. ECG002-02 Echo/ISA, 8 RS-422/485 serial ports with IOBG08DB9V1 I/O box. RoHS Compliant. ECG002-03 Echo/ISA, 8 RS-422/485 serial ports with CAG08DB25 cable. RoHS Compliant. ECG003 Echo/ISA, 4 RS-232 and 4 RS-422/485 serial ports. RoHS Compliant. ECG003-01 Echo/ISA, 4 RS-232 and 4 RS-422/485 serial ports with CAG08FXDX cable. RoHS Compliant. ECG003-02 Echo/ISA, 4 RS-232 and 4 RS-422/485 serial ports with IOBG08DB9V1 I/O box. RoHS Compliant. ECG003-03 Echo/ISA, 4 RS-232 and 4 RS-422/485 serial ports with CAG08DB25 cable. RoHS Compliant. ECG006 Echo/ISA, 6 ports RS-232 and 2 ports RS-422/485. RoHS Compliant. ECG006-01 Echo/ISA, 6 ports RS-232 and 2 ports RS-422/485 with CAG08FXDX cable. RoHS Compliant. ECG006-03 Echo/ISA, 6 ports RS-232 and 2 ports RS-422/485 with CAG08DB25 cable. RoHS Compliant.